The 15th International Travelling Human Rights Documentary Film Festival Docudays UA starts in October. This year, the most interesting human rights documentaries will be seen by residents of more than 200 Ukrainian towns and cities. Traditionally, the Travelling Docudays UA will last until the end of December and visit 22 regions of Ukraine. The screenings will start in Ternopil oblast from October 5. The venues for screenings and discussions about the films include local film theatres, houses of culture, schools and colleges, film clubs and creative spaces, bookstores, libraries, as well as penitentiary institutions. 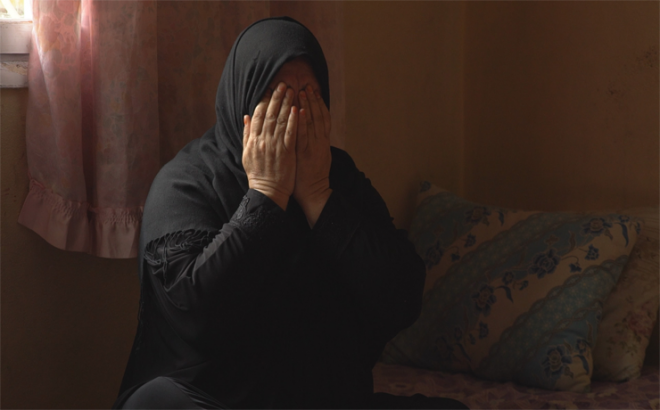 An important component of the events are discussions, where the audience will have a chance to talk with filmmakers, as well as with invited human rights advocates and cultural figures. The central topic of this year’s festival is called Equal Equalities and dedicated to the social challenges related to the concept of equality. It offers to discuss the widespread stereotypes, to determine how to practice equality in our everyday lives, and, in the end, to “measure” equal equalities. The main film program is dedicated to the groups of people who experience inequality and social discrimination most often, and who are underrepresented in the media. The Festival offers the visitors to look at the issues of inequality from various perspectives – not just through cinema, but also through human rights educational and advocacy events, as well as discussions. 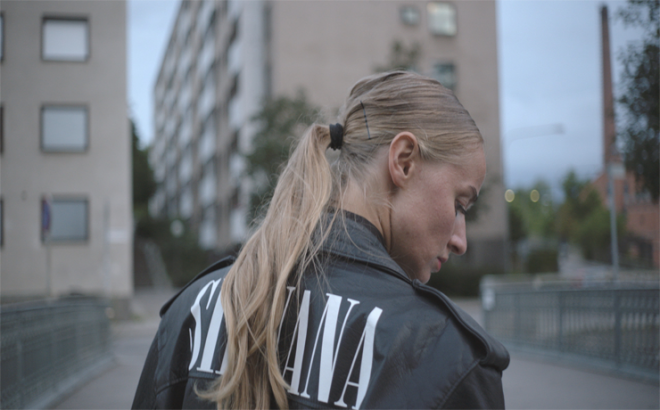 The film Silvana (directed by Mika Gustafson, Olivia Kastebring, Christina Tsiobanelis) follows the life of the Swedish rapper Silvana Imam, whose lyrics are directed against all forms of oppression, and traces her path from an underground artist to an icon. Silvana uses her razor-sharp tongue to spotlight the movements taking place in today's society, embodying the voice of a new generation along the way. My Body Is Political by Alice Riff raises the topic of Brazilian transgender community and its political disputes. The narrative is developed with a mix of their intimate lives and broader social context, raising questions about the Brazilian transgender community and their political disputes. As the director Mila Turajlic, begins an intimate conversation with her mother in the film The Other Side of Everything, the political fault-line running through their home reveals a house and a country haunted by history. The chronicle of a family in Serbia turns into a searing portrait of an activist in times of great turmoil, questioning the responsibility of each generation to fight for their future. The film Holiday (directed by Zhanna Maksymenko-Dovhych) is a portrait of a city and its people. Set in the backdrop of monumental changes within the country and the consciousness of its people, it is a film about a search for identity, which asks an important question, how is it possible to continue to live with one foot stuck in the Soviet past, and with the other moving towards Europe? 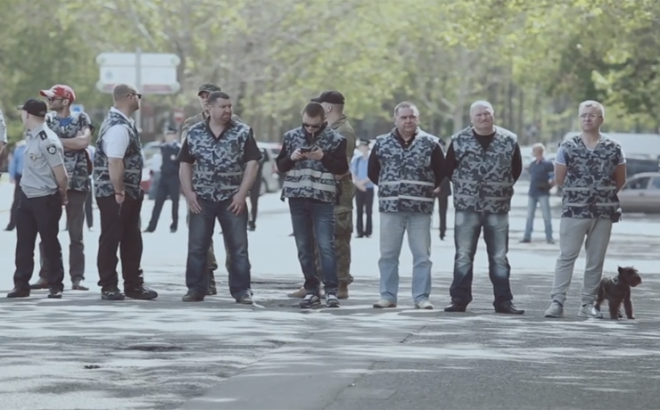 The daughters, wives and mothers of the members of Greek neo-Nazi party are described in the film Golden Dawn Girls (directed by Havard Bustnes). As the Greek elections and trial unfold, the Norwegian film crew gets surprising access to the secret chamber and family lives of one of Europe’s most notorious nationalist parties – exposing the mindset, values and personalities of the people on the front lines of modern nationalism. The stories of Anita, Rita, Ricardo and Andrés who have been going to a school for children with Down syndrome for 40 years, but strive for more freedom and independence, are told in The Grown-Ups (directed by Maite Alberdi). Sadly, the society they live in is not equipped to cater to their desire for more independence. In spite of the training they receive on becoming ‘responsible adults’, all four of them remain dependent on others to make decisions for them, much to their frustration. The Travelling Festival’s program also includes films that received awards at Docudays UA 2018 in Kyiv. 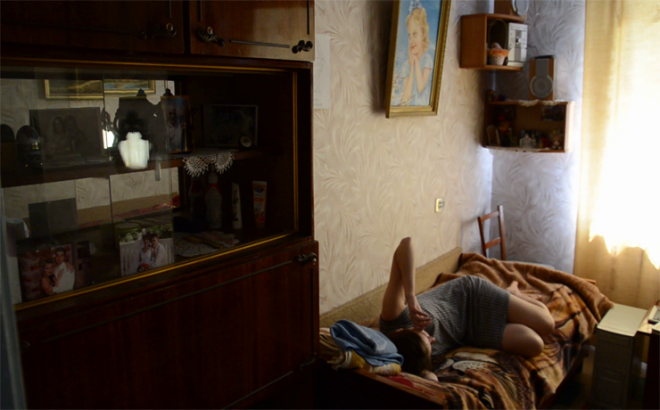 The film No Obvious Signs (directed by Alina Horlova) traces the path of a woman who returned from the war from the beginning of her rehabilitation and until she starts working again. The film won in the DOCU/RIGHTS category, and received awards from the Ukrainian Helsinki Human Rights Union and the Current Time media. Whereufrom (director Dmytro Lavrinenko), the film which won the main prize in the competition DOCU/UKRAINE explores the reality of selfies by using two cameras: one belongs to the protagonist, the other is operated by the director. 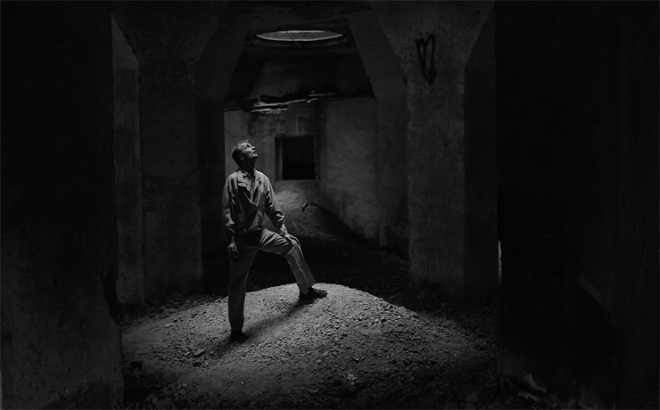 As a result, the two realities merge in one film. The Distant Barking of Dogs (directed by Simon Lereng Wilmont) is an observational film that follows the life of the 10-year-old Oleh and his grandma Oleksandra in a village on the front line, received the Audience Award at Docudays UA 2018. In addition, the film is accompanied with an audio description, which makes it accessible for listeners with visual impairments. The film Ex Libris: The New York Public Library by the prominent American director Frederick Wiseman goes behind the scenes of one of the greatest knowledge institutions in the world and reveals it as a place of welcome, cultural exchange and learning. In addition to screening the film, the Travelling Festival will hold discussions about the function and role of public libraries in the contemporary Ukrainian society. The discussions of the transformational potential of Ukrainian libraries and the opportunities that they present to local communities will be held in 10 cities and will involve experts. The films will be discussed in partnership with the Campaign Against Discrimination, and the discussions will involve the Campaign’s experts. In addition, the Campaign Against Discrimination will organize workshops for police officers about non-discrimination in police work, preventing hate crimes, and standards for investigating such crimes. There will also be lectures and workshops of the Campaign Against Bullying, which was launched by the Ministry of Justice as a part of the I HAVE THE RIGHT! Project in partnership with the Ukrainian National Police; the campaign’s target audience are children and their parents. The Festival’s partners in Ukrainian regions are 49 leading youth, community and human rights organizations, as well as 186 Docudays UA film clubs for media education in human rights. More information on the schedule of screenings in the regions can be found at the official website of the Docudays UA Traveling Festival, www.traveling.docudays.org.ua.